Here you can find answers to our frequently asked questions. PDT may be easier for patients than repeated topical liquid nitrogen, Efudex (5-FU), or Aldara because the side effects are minimal and healing is more rapid. Levulan improves the whole area (including non-visible lesions) creating one color, texture, and tone rather than just spot treating with liquid nitrogen, cautery, and surgery. Spot treating can leave white spots on your skin. How many treatments will PDT take? 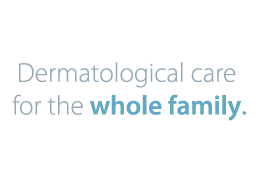 Most patients with just actinic keratosis are happy with just one treatment. More treatments can be done at periodic intervals in the future to maintain the rejuvenated appearance of the skin. What do I need to know about Minors? Please note that all patients who are under the age of 18 must be accompanied by a parent or legal guardian to receive treatment. If a follow-up visit is necessary, a form may be signed by the minor’s parent or legal guardian that gives us permission to treat an unaccompanied minor. Please contact our office if you should have any questions prior to your appointment. We look forward to seeing you at your visit! We aren't available as of this moment, but you can send us an email and we'll get back to you ASAP. Thank you! I consent to SIERRADERM - Grass Valley, Nevada City Dermatologist, Dr. Muellenhoff collecting my details through this form.